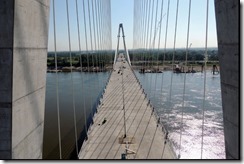 Goethals Bridge Replacement – Webcam! 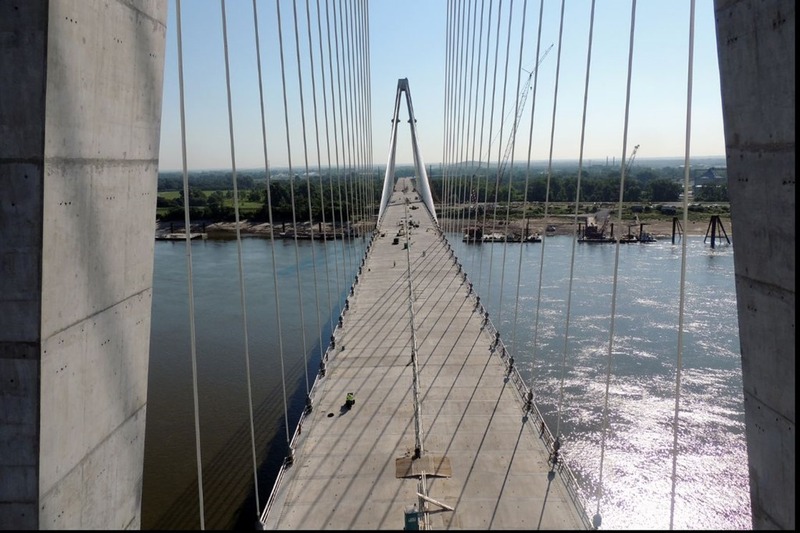 DBA is on the design-build team that is replacing the Goethals Bridge for the Port Authority of New York and New Jersey (PANYNJ). 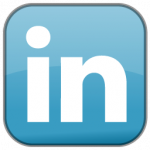 We are not able to post much about the project or our involvement due to security agreements. However, the PANYNJ has a public website for the project (http://www.panynj.gov/bridges-tunnels/goethals-bridge-replacement.html) that has several webcams. As is the case with most big projects these days, the webcams are a common feature and show some great views of the project. The project also includes the demolition of the existing bridge upon completion of the replacement bridge. 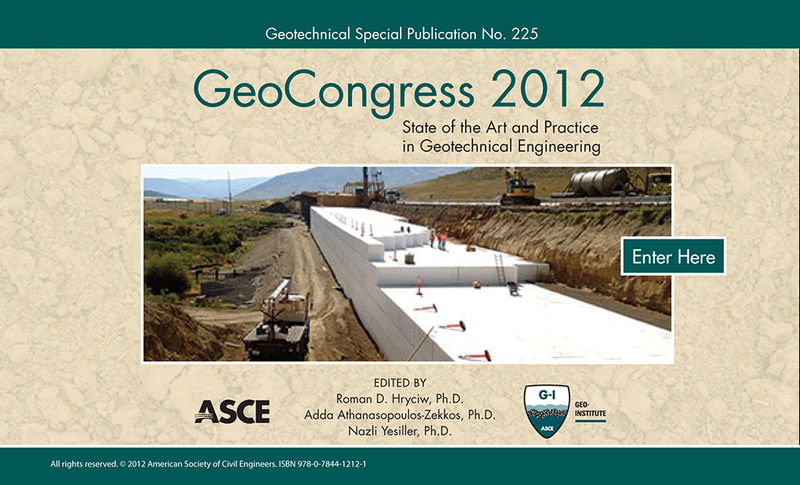 You can learn more about the project at the same web site. There is also a site for the current bridge, including history of the construction, etc. 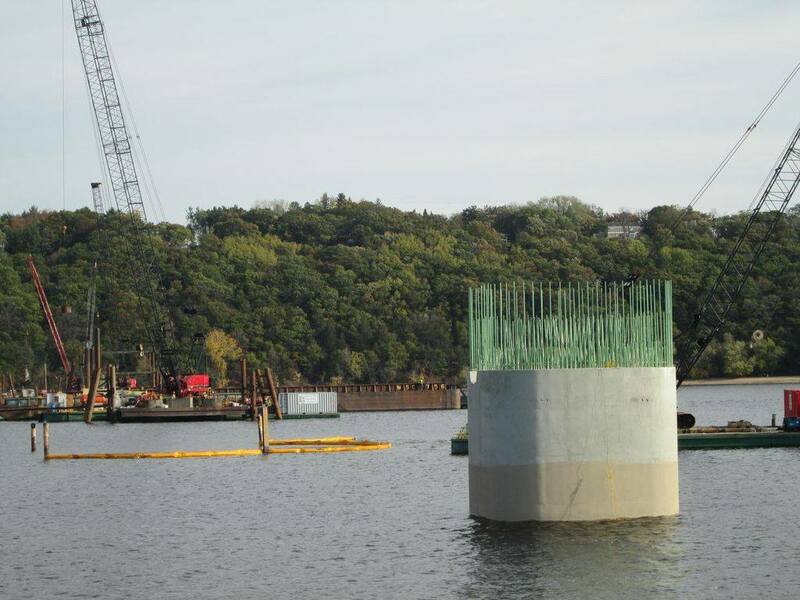 DBA has been selected by MnDOT as a geotechnical and load testing consultant for the design phase load test program and foundation design of a new bridge crossing the the St. Croix River near Oak Park Heights and Stillwater, Minnesota. The new bridge will carry State Highway 36 across the St. Croix River between Minnesota and Wisconsin. Currently, Highway 36 is carried on an 80-year old two-lane vertical lift bridge in downtown Stillwater. The new bridge will divert the heavy through traffic away from the historic downtown center and reduce travel time for commuters. The iconic lift bridge will be converted to a pedestrian and bicycle only structure. 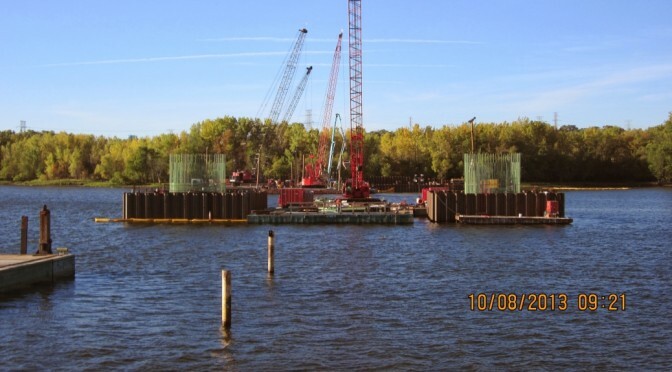 Work began this summer on the load test program which consisted of one 8-foot test shaft, two 24-inch driven steel pipe piles, and two 42-inch driven steel pipe piles, all installed in the St. Croix River along the alignment of the new bridge. Local contractor Carl Bolander & Sons Co. was selected as the general contractor for the load testing program. 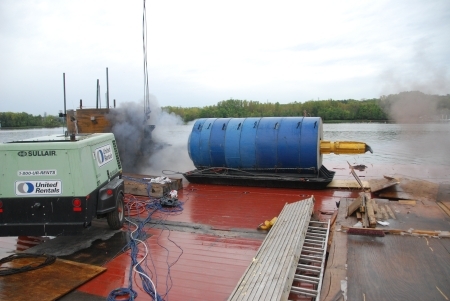 Bolander self-performed the installation of the test piles and sub-contracted the construction of the test shaft to Case Foundation Company, of Chicago, Illinois. Axial load testing of the test shaft was performed by Loadtest, Inc., of Gainesville, Florida, using Osterberg Cells (O-cells). Dynamic testing of the driven piles using the pile driving analyzer (PDA) was performed by local geotechnical consultant Braun Intertec. 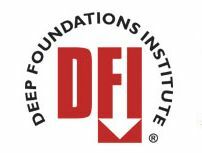 Axial testing of the driven piles and lateral testing of the shaft and one of each size pile was performed using the Statnamic Device by Applied Foundation Testing, Inc. (AFT), of Jacksonville, Florida. 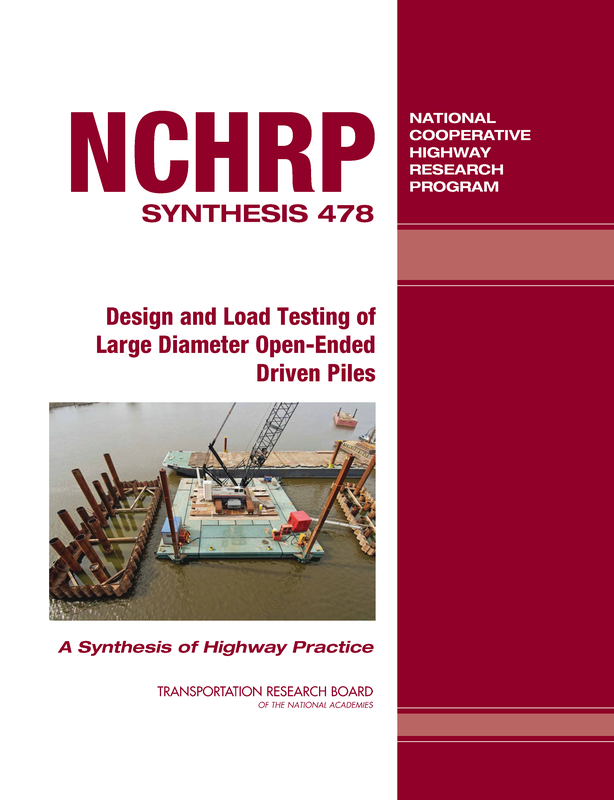 DBA provided pre-test recommendations, assisted MnDOT in construction oversight, provided analysis and review of the test results, and made design recommendations based on the test results. 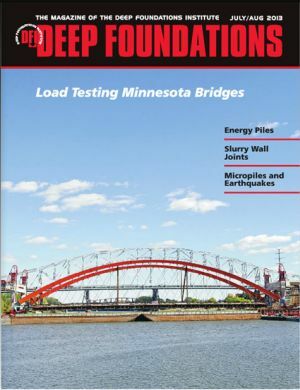 Following the successful load test program, DBA is working with MnDOT’s structural design consultants for the project, HDR, Inc. and Buckland & Taylor Ltd. to optimize the bridge design. 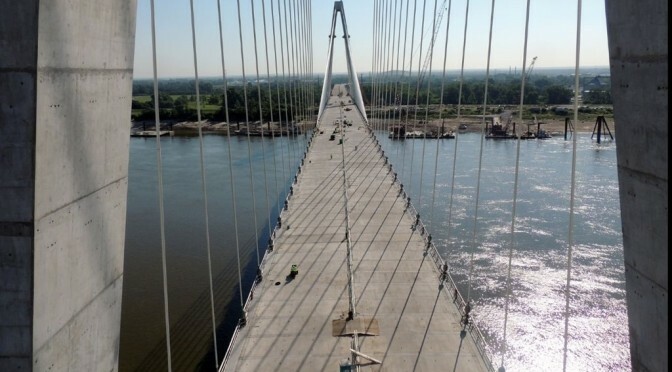 Already, the design team has been able to lengthen the bridge spans and eliminate a river pier as a result of the load test results, as was recently reported by Minnesota Public Radio (MPR). Also, because the total number of drilled shafts required to support the main pier towers has been reduced, construction on the foundations will been moved up to 2013 rather than the original estimated start date in 2014, also reported by MPR. Barry Meyer, P.E. joins DBA! 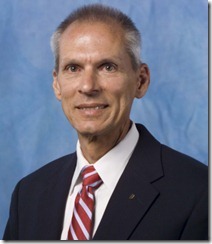 We are pleased to announce that Barry J. Meyer, P.E., has joined DBA. 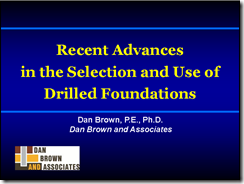 Barry is a recognized expert in the design and construction of deep foundations. 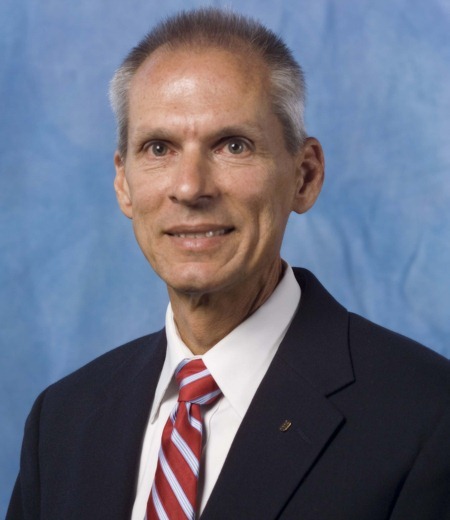 His over 30 years of geotechnical engineering experience includes time at McClelland Engineers in Houston where he designed large diameter high capacity driven piles for major offshore structures and developed subsea geotechnical instrumentation. He applied that knowledge at Marathon Oil Company where he was part of the team that installed the Steelhead oil production platform in Cook Inlet, Alaska. After his time in Texas, Barry spent time at both Leighton and Associates and at Law Engineering in California, before joining HDR in their Tampa, Florida office. 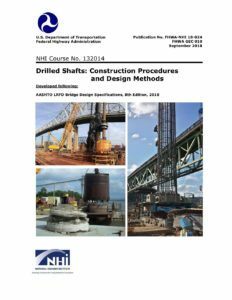 During this time, his drilled shaft experience includes the H-3 Windward Viaduct on Oahu, Hawaii where drilled shafts were used for the first time to support a major bridge structure and are now the foundation of choice in Hawaii. He was also innovative in the use of the Osterberg O-Cell as part of the repair of the Los Angeles Coliseum after the devastating Northridge earthquake. Barry has worked on numerous international projects in a variety of capacities including the Confederate Bridge connecting New Brunswick to Prince Edward Island over the ice filled Northumberland Straits; the 55 km elevated Bang Na Expressway Project in Bangkok, Thailand; and the Puente de la Unidad cable-stayed bridge over the Santa Catarina River, Monterey, Mexico. He also has considerable seismic engineering experience, and has designed and constructed flood protection levee systems and water storage reservoirs. Barry will be based in the Tampa, Florida area. You can check out more details about him on the About Us page of our blog. Welcome, Barry!